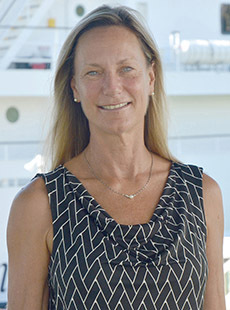 Ruth Curry is the Manager of the Glider Program at BIOS (the Mid-Atlantic Glider Initiative and Collaboration,or MAGIC) and has been out measuring ocean circulation and water mass properties since 1980. She is interested in how these are changing with time and their role in the global climate system. A particular focus of her research has been on ocean salinity distributions, shifts in the global fresh water balance, and how these affect the Atlantic meridional overturning circulation (AMOC). More recently, her field work is concerned with abyssal mixing, circulation pathways and water mass transformation in the AMOC. Ruth is currently accepting interns.